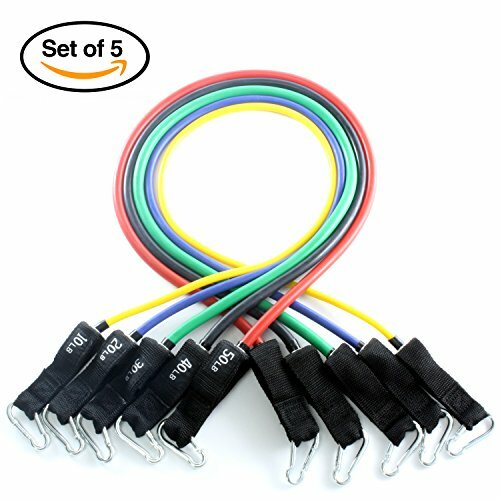 Five color-coded professional gym quality rubber tube bands can be used alone or stacked in any combination up to a maximum equivalent of 150 lbs of resistance. 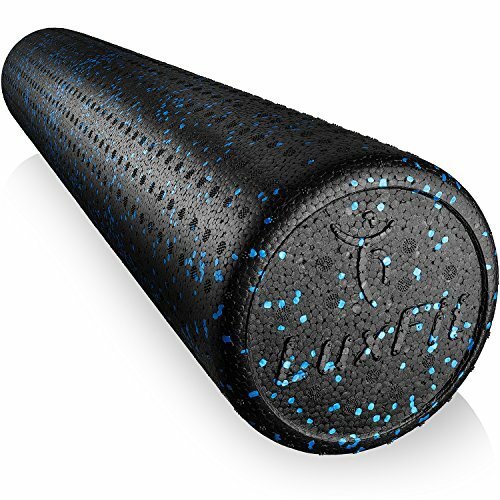 Each band is 1.2m long and is clearly marked with its equivalent weight – a feature you won’t see on most exercise bands sold elsewhere. 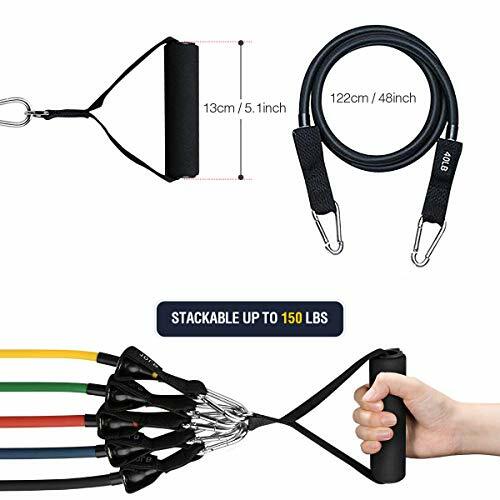 Strong rubber bands provide consistent resistance for every movement and give you enough flexibility to do hundreds of different exercises from beginner level through advanced. 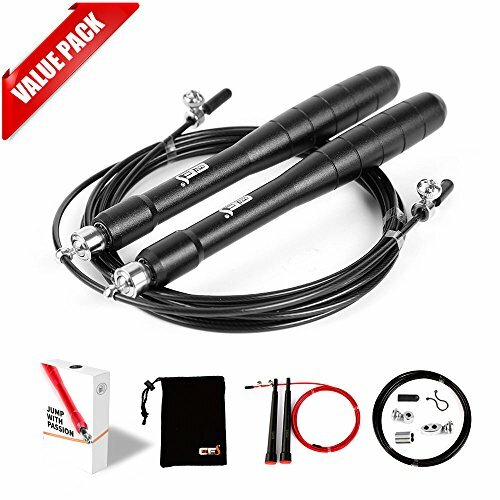 Virtually guarantees you’ll never grow bored of your workouts. The included guides will help you in varying your routines and adding new exercises to challenge yourself to grow past your initial comfort levels. 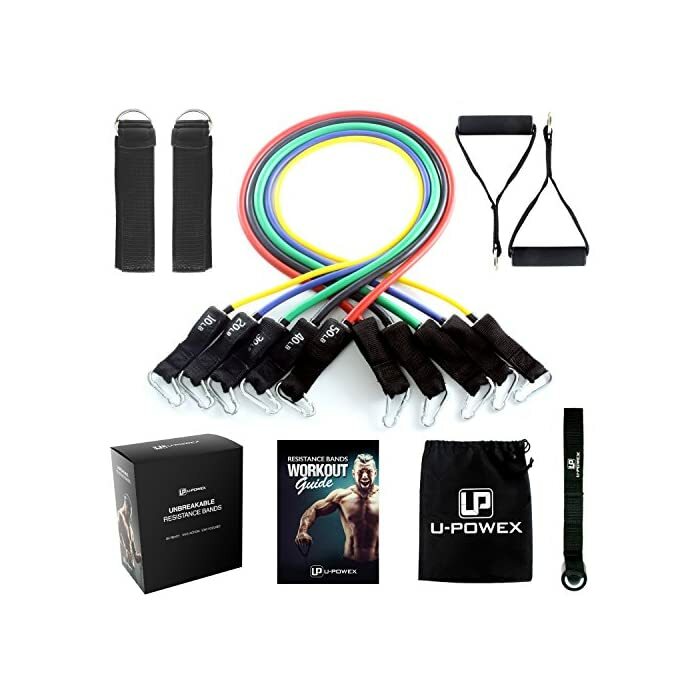 U-POWEX Resistance Bands are built to last with high-quality materials and an attention to detail and safety that exceeds market standards. 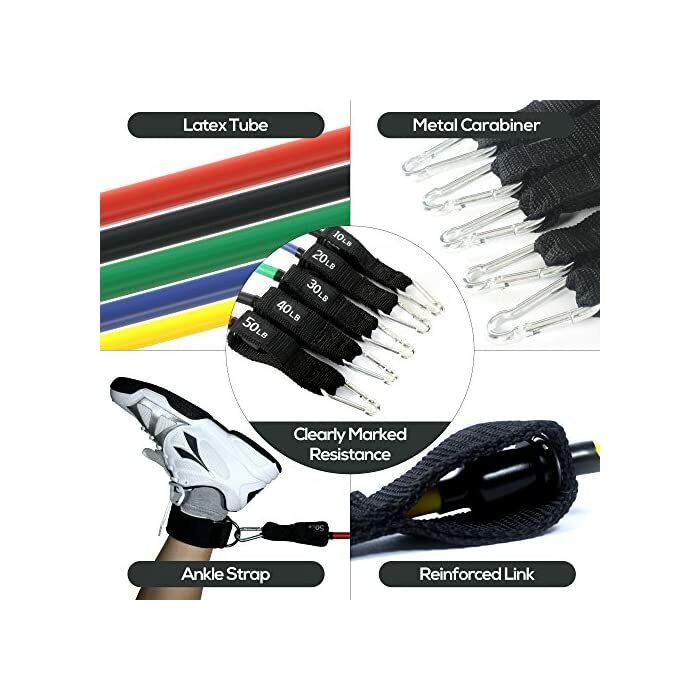 Should your bands ever break, we’ll replace them for you at no cost to you. 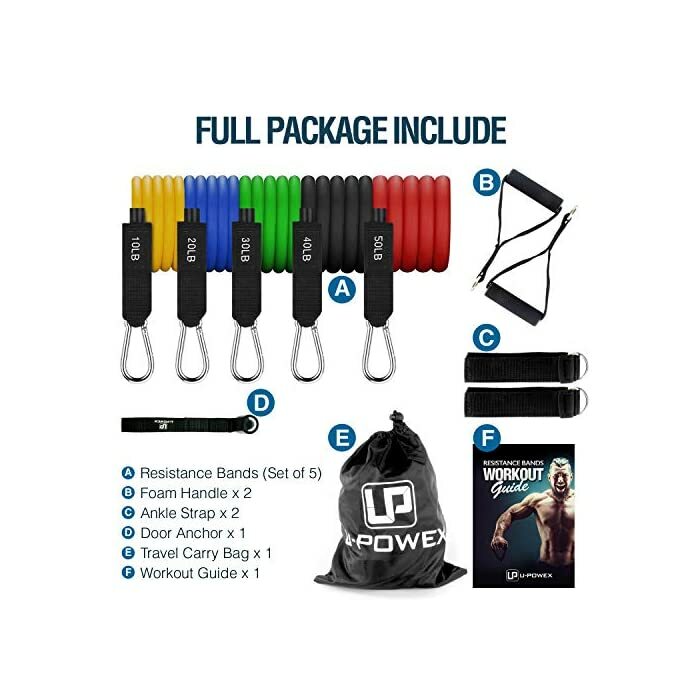 Order Your New Set of Resistance Bands Today and Discover the Best Workout of Your Life – Right in Your Own Home. 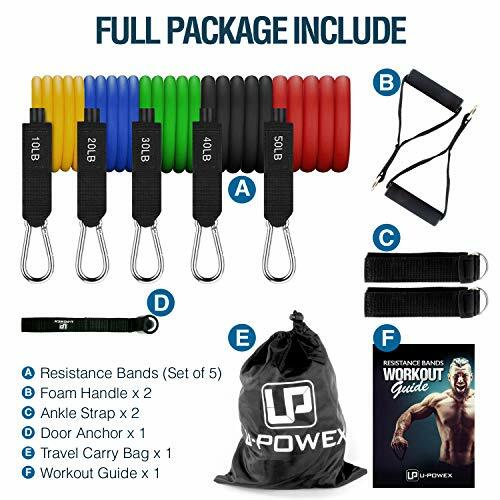 SUITABLE FOR ANY FITNESS LEVEL – Whether you’re a beginner or an expert, these resistance bands are for you. 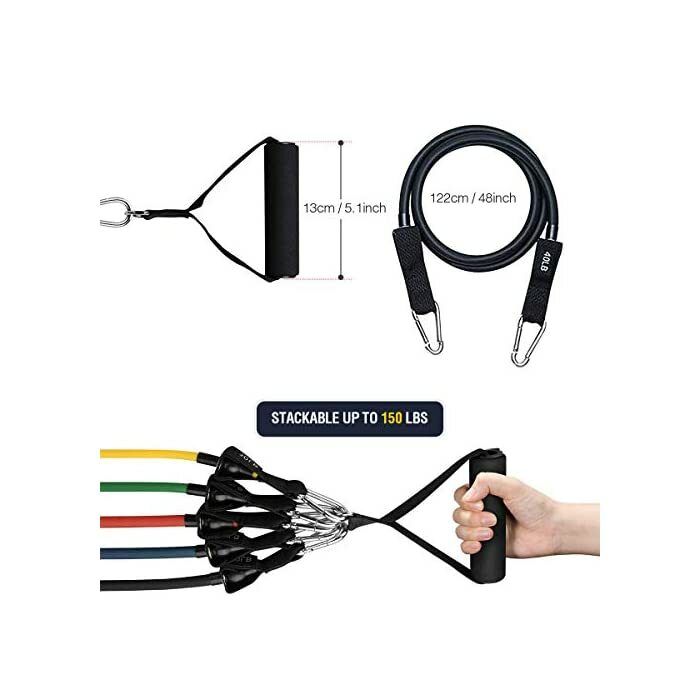 The variety of resistances and multi clip system means you can adjust the intensity of your resistance-band workouts to suit your personal goals. 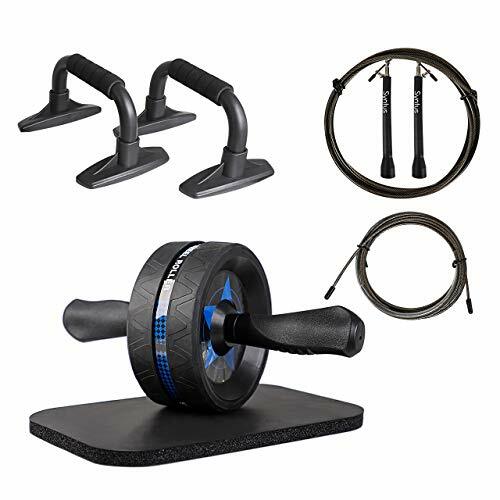 YOUR OWN PERSONAL HOME GYM – This resistance band set includes five exercise bands, one waterproof carry bag, one door anchor, two cushioned handles and two ankle straps to allow you to perform the widest variety of resistance training exercises possible. 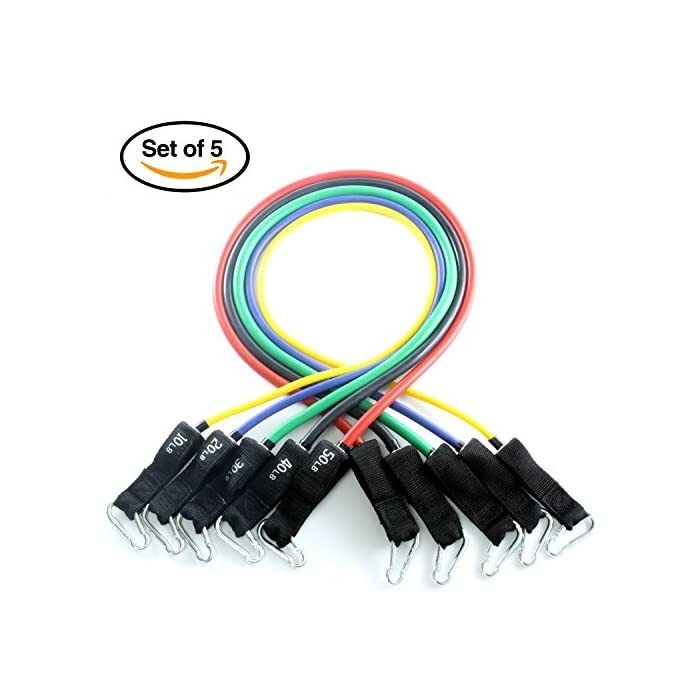 100% SATISFACTION LIFETIME GUARANTEE! 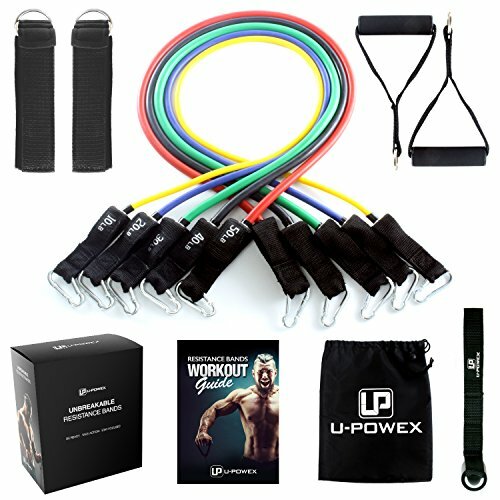 – U-POWEX resistance bands come with a 100% satisfaction guarantee, and if they don’t work out for you for any reason then contact us for your full money back. 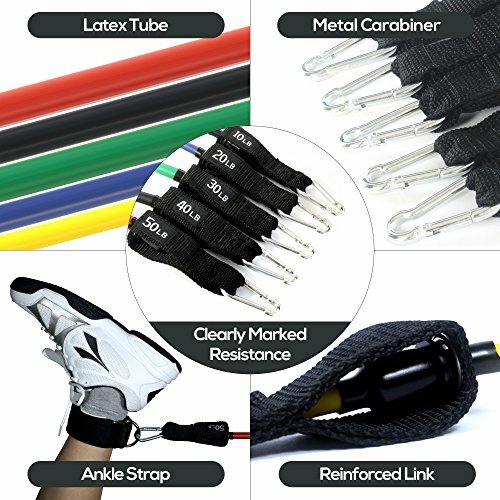 To enjoy your exercise bands, click ‘Add to Cart’ now!